A location with exceptional transport links. In delightful Sundbyberg Centre we’ve created cohesive areas with dimensions that few other buildings in the Stockholm area are able to offer. And on top of that there’s the metro, commuter train, light railway, buses and intercity connections right outside the hub. 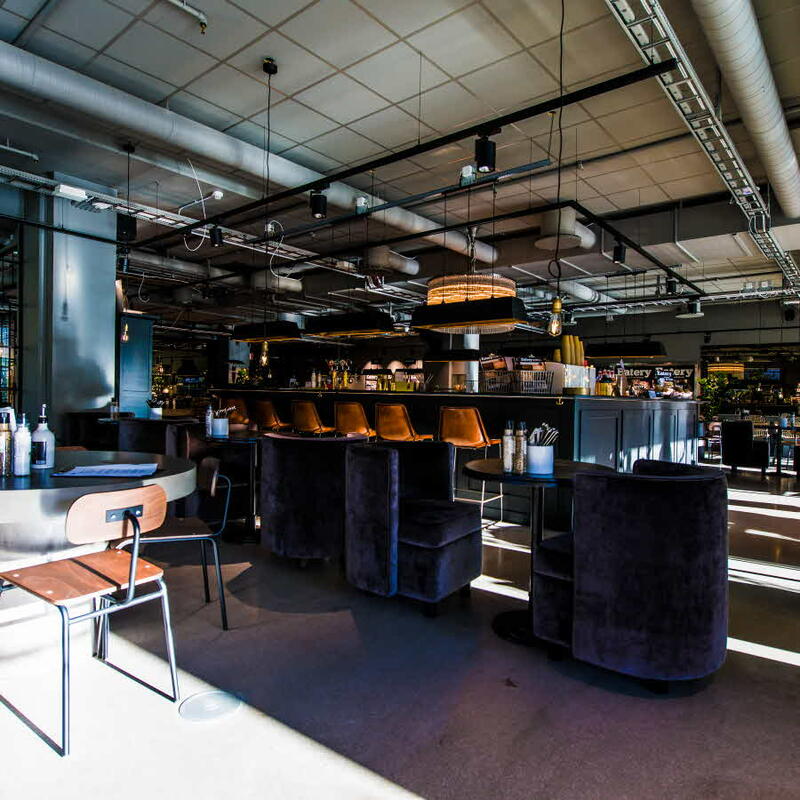 We’ve established the perfect conditions here for flexible, customised offices in Sundbyberg’s most significant location. The first tenant to move in was the Swedish Migration Agency, which consolidated its operations in the premises in August 2018. Six months later, Swedbank moved into the other half of the building. At street level we’ve created a vibrant space with restaurants such as Eatery, Nonni Sushi and Matmakarn, and in 2019 a Coop food store will open on the ground floor. Working at Grand Central Sundbyberg gives you a fantastic range of public transport options right on your doorstep. The entrance to the building is next to the commuter trains, metro, light railway, buses and intercity trains. Bromma Airport is just 10 minutes away. Sundbyberg Centre is a thriving and safe district of Stockholm with lots of businesses, made up of offices, residential housing, plazas, shops, green spaces, public transport and other services just a stone’s throw away. The Orgeln district at Järnvägsgatan 12–20 and Sturegatan 11–19 has been redeveloped and expanded with four floors, creating cohesive spaces of dimensions that few other buildings in the Stockholm area can offer. The building has been given distinct, welcoming entrances and atriums, and a roof terrace featuring a unique vista of Sundbyberg. The restaurants and shops on the ground floor provide a more inviting and lively street environment. The facade has been adjusted to vary the large surfaces, and the interior features timeless design alongside contemporary elements, with material selected for sustainability and minimal environmental impact. The atriums are a place to gather in the building, lending added value for both employees and visitors. People can come together here and find everything from a quiet corner in which to work to a natural meeting place where they can exchange ideas. The interior provides a surprise and a contrast with the building’s structural exterior. The office space is large, open and flexible to allow for effective furnishing. The premises have been adapted to suit our tenants’ needs and ways of working. 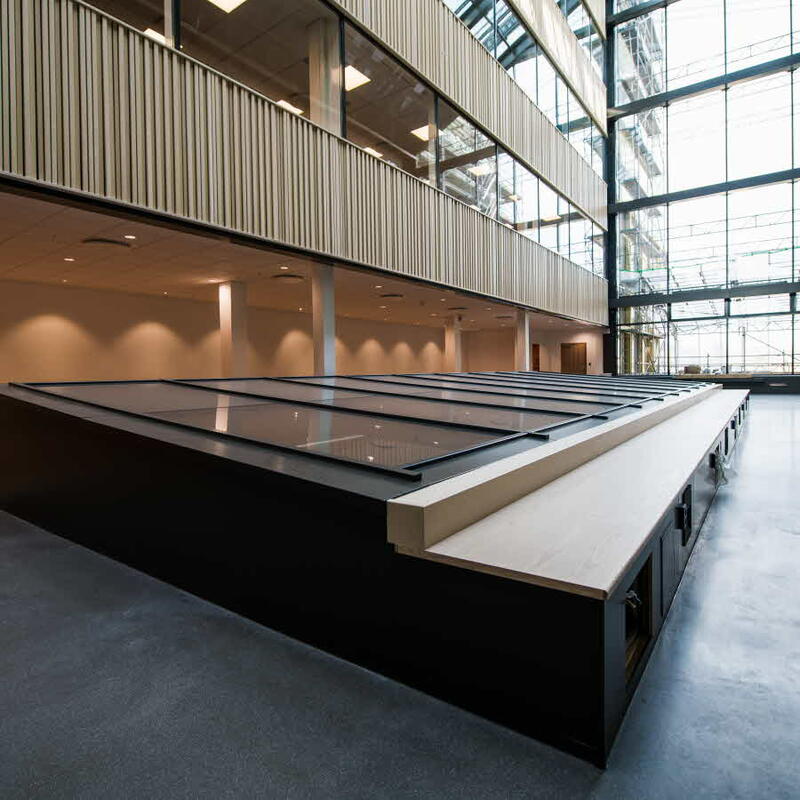 All workplaces have excellent conditions with plenty of natural light, and new ventilation along with the latest technology are now an integral part of the building, to achieve maximum comfort and energy efficiency. 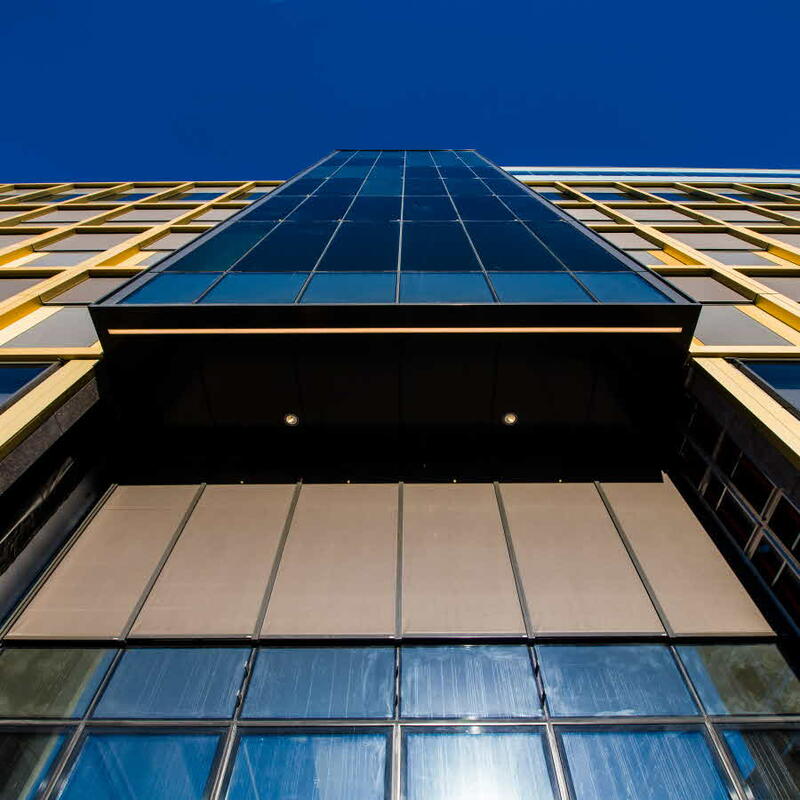 The building has been certified to BREEAM-SE Very Good standard, and materials have been selected for their sustainable properties over time and for their minimal environmental footprint. In addition, the roof is equipped with an impressive 2,500 sqm of stonecrop and 510 sqm of solar panels, while the parking area has 14 charging posts for electric cars. The Orgeln building was constructed in 1964, and back then it was already as big as a city block divided into retail and office space in a modernist style. Tipstjänst (now the state-owned gambling company Svenska Spel), EPA (now the Åhléns department store) and the Social Insurance Administration (Försäkringskassan) are just a few of the largest tenants that the building has been home to since then.